At a time when there has been a growing national push for higher levels of student performance and accountability in school districts, 21 researchers from across the globe will convene in Rochester, N.Y. this week for an intensive meeting on Nov. 2 through 4. The invited meeting is intended to foster dialogue across research areas and produce knowledge of the highest quality about education and learning. 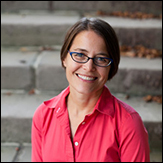 A $30,000 American Educational Research Association (AERA) research conference grant will fund the meeting, themed “Thinking Systematically: Improving Districts Under Pressure,” and it will be hosted by the Warner School of Education at the University of Rochester, in collaboration with the University of California, San Diego. 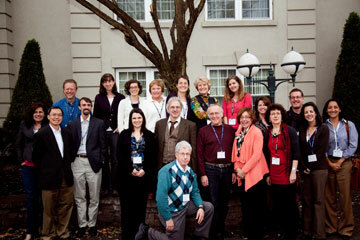 The grant was one of seven awarded as part of AERA’s three-year research conference initiative. By focusing on issues related to school district improvement under pressure, the conference will identify, synthesize, and disseminate district-level approaches and innovative research strategies to help improve the educational outcomes of students. The conference also will highlight practices that have been demonstrated by research as being more effective for districts and will identify the most pressing areas for research-based inquiry into district reform. Conference organizers include Kara Finnigan, an associate professor who directs the educational policy program at the Warner School and Alan Daly, an assistant professor at the University of California, San Diego. Finnigan says that little is known about how to successfully bring about school improvement for persistently low-performing schools and even less is known about how to do this for school districts. The dissemination of research around district reform that will evolve from the international meeting will include the organization of conference papers that will be widely disseminated to researchers, practitioners, and policymakers. For more information about the conference, please contact Kara Finnigan at (585) 275-9942 or by e-mail at kfinnigan@warner.rochester.edu.